The new iPad went on sale at select Walmarts at 12:01 AM tonight, and TechnoBuffalo stood there for all you loyal members of the herd to bring you the quickest unboxing we could of the latest tablet from Apple. First off, let me just say that our own Jon Rettinger will also be doing his unboxing for you on Friday, so consider this the warm up act to the big show. That being said, yes, I have returned for only my second unboxing ever, and this time around its the third generation iPad. This is a 16GB black Wi-Fi model, and I can say that the weight difference, while only slight, is immediately noticeable from the iPad 2. 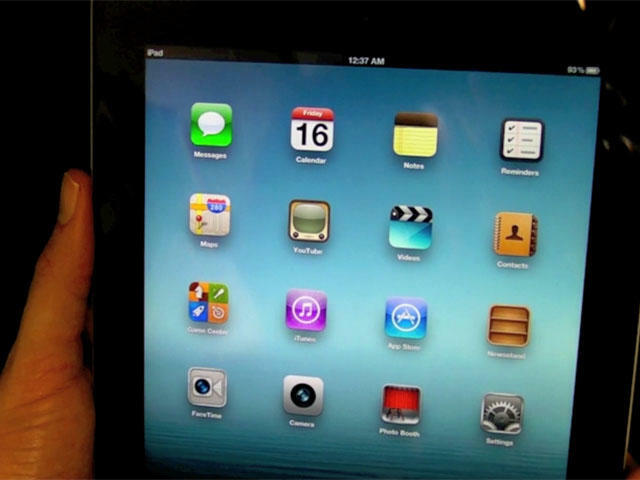 You quickly feel that go away, but when you first pull it out of the box, if you’ve held an iPad 2 recently, you’ll immediately feel the difference. The thickness is negligible, but you do feel the difference in the much more tapered edges. As for the screen, the biggest difference, all I can say is … “Wow!” It is eye-popping in how much crisper it is, as well it should be at twice the resolution of the previous two versions. Jon Rettinger will be along on Friday with his own unboxing, for now, here’s mine, and hope you enjoy.